When it comes to creating quality content that informs, entertains, engages and inspires action from our target audience, we marketers wish we knew one thing: exactly what our audience is thinking. Unfortunately, that’s not exactly possible. While we’d all like to believe we have amazing mind-reading capabilities, most of us really only have the informed assumptions we’ve built with research and data. But what if I told you there were a few things you could do to get closer to savant status? Well, it just so happens that I received some nuggets of insights today on that very topic. During their session Are You A Marketer Or A Mind-Reader? 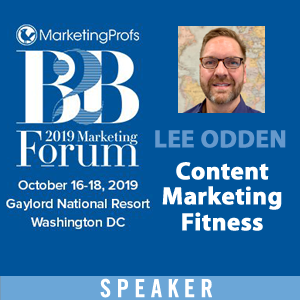 How To Know What Your B2B Buyer Is Really Thinking at MarketingProfs B2B Marketing Forum in Boston, Aberdeen Group’s Director of Content Strategy Matthew T. Grant and Research Analyst Andrew Moravick shared three options for getting deeper into the minds of B2B buyers. One of the easiest ways to find out exactly what your customers and prospective customers are thinking is to simply ask them. While you may already be doing this, a lot of marketers aren’t. According to Moravick, recent Aberdeen Group research revealed that 46% of marketers don’t interact with customers directly. In addition, of the marketers considered to be the high-flying, best-in-class folks in the business, 77% of them do interact with customers directly. Make your sales team the first stop on your knowledge quest. It’s their job to interact with customers and prospects all day. They will be able to reveal incredible insights into customers’ needs, pain points and reasons sales do or do not close. You can also get in touch with customers and prospects directly—just make sure you clear it with the sales team first—or hire a third-party to help you conduct the research. The bottom line? You can’t provide the needed answers if you don’t know the questions that your audience is asking. #2 – Use the right data. According to Moravick, we’re in an era when customer interactions are bringing in more data than ever. While tons of data is great, you don’t need to use every single piece of it to find opportunities to better understand your audience and move your marketing initiatives ahead. 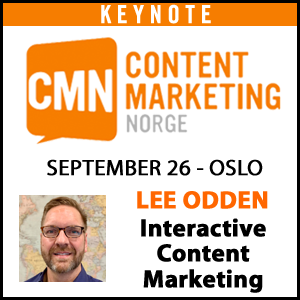 Is there a piece of content that everyone touches? Is there content that gets ignored? What searches lead them to your site? What are people searching for on your site? What do you best customers have in common? Once you have some hard facts from your own data, look for any holes in what you’ve uncovered. If you’re missing something important, consider partnering with another company or group to develop the full data picture. #3 – Write their minds. What? Write their minds? While it perhaps seems impossible, Grant and Moravick made an amazing point: we can plant the ideas that influence our customers’ thoughts. While it may seem like a bit of a dark art, it makes total sense. Grant and Moravick told the story of how the phrase “designated driver” came to be. Most of us who like to have a cocktail or two from time to time, know exactly what that phrase means. But did you know that Harvard coined it during a campaign to attempt to reduce the number of fatalities from drinking and driving? The university partnered with movies, television shows and commercials to get the phrase out there and now it has become part of our culture. Another great example of “write their minds” in action is inbound marketing. The term was coined by HubSpot’s Brian Halligan and is now a widely used industry term—and HubSpot is the inbound industry leader. So, how can you do something like this for your B2B? Create a category or industry standard that allows you to build credibility and a niche you can grow. 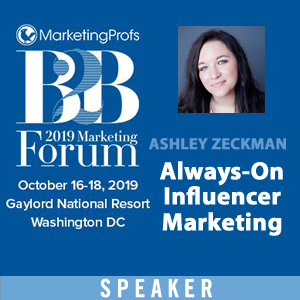 If you’re at MarketingProfs B2B Marketing Forum, the TopRank Marketing team would love to connect! 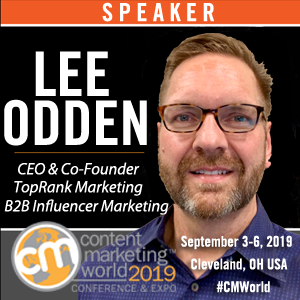 Find us on Twitter to let us know what sessions you’ve enjoyed the most at @TopRank, @leiladlf, @leeodden, @azeckman, @amywhiggins and @CaitlinMBurgess.